CUCCIO is probably the best investment of my time, of any organization I belong to. 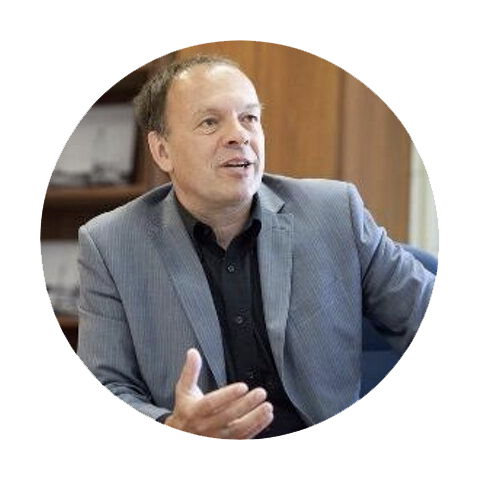 CUCCIO stands for the Canadian University Council of CIOs and has been in existence for about 12 years. It currently has 62 member schools which makes up almost all of the schools in Canada. What You Always Wanted to Ask a CIO, But Were Afraid to panel at Ontario Higher Education Information Technology (OHEIT) conference in Sudbury, May 2018. 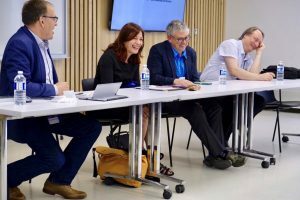 Left to right, Bo Wandschneider (University of Toronto), Nela Petkovic (Wilfred Laurier University), Luc Roy (Laurentian) and Brian Lesser (Ryerson). CUCCIO hosts three face-to-face meetings per year and also oversees the annual Canadian Higher Education Information Technology conference (CANHEIT) that brings together people from all across the nation to share and discover new ideas, and generate innovative collaborations. In other words, CANHEIT is about relationship building. Too often our staff work within their own bubbles and don’t get to see how others are solving the same problems and challenges and fail to look at the opportunities. CUCCIO also hosts various special interest groups (SIGs), to facilitate ongoing discussion between universities. CUCCIO is currently piloting a leadership program for aspiring higher education IT leaders in the country. This program is designed to be complementary to other programs out there and is taking on a mentorship approach, as sitting and past CIOs are delivering the content and engaging in dialogue with participants. These are all fantastic initiatives that provide a value beyond the minimal cost of membership. That being said, the main value for me is the network and interactions with the other CIOs. There is so much to learn from each other and the group has developed an incredible sense of trust where we share almost everything in order to drive better outcomes across the sector. We are in touch by email and phone on a regular basis and almost any question is answered promptly, even though we all have incredibly busy schedules. The face-to-face in-person meetings are critical for building the relationships that set the stage for partnerships and collaborations between schools. Yikes: What did I get myself into? 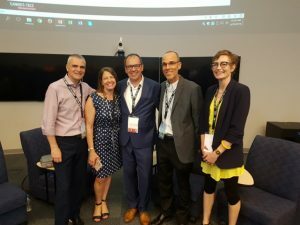 Confessions of a New CIO at CANHEIT 2018. I would be remiss if I didn’t mention the “therapeutic” value of these meetings. Just being able to share our challenges with someone who really understands, is worth its weight in gold. I love my job as a CIO, but there are times where it really can be demanding. I always feel refreshed and better after hashing things out with my peers and getting some advice. One way we do this is by doing presentations to the community with CIO panels. This year I had the pleasure of chairing a panel of new CIOs and learned so much about leadership and how they approach a new role. I also chaired a panel with my peers where we took questions from the audience. From the picture below, you can see how much fun we do have when we get together. I am very fortunate to have been able to attend CUCCIO meetings almost since the beginning and I can safely say I wouldn’t still be in this position or be the leader I am without this great network. And on top of that, CUCCIO makes it fun – just look at those smiling and laughing faces when we get together.